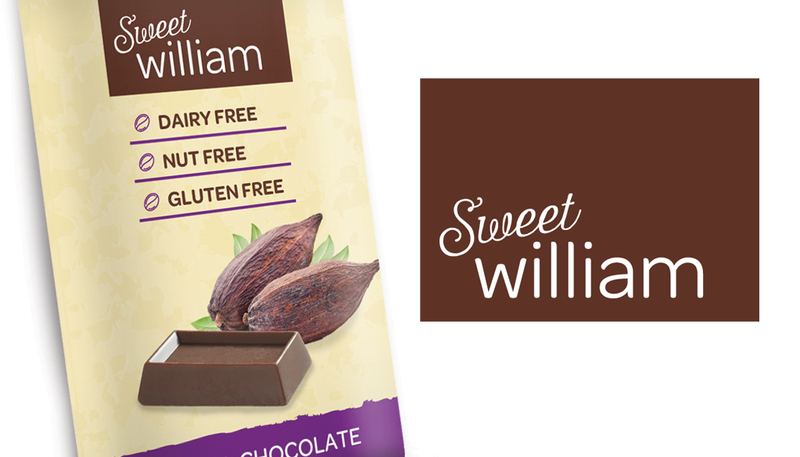 Sweet William is an Australian company producing chocolate that caters for those with special dietary and allergy needs. The brand was losing distribution share, with a dated packaging design and confused messaging. 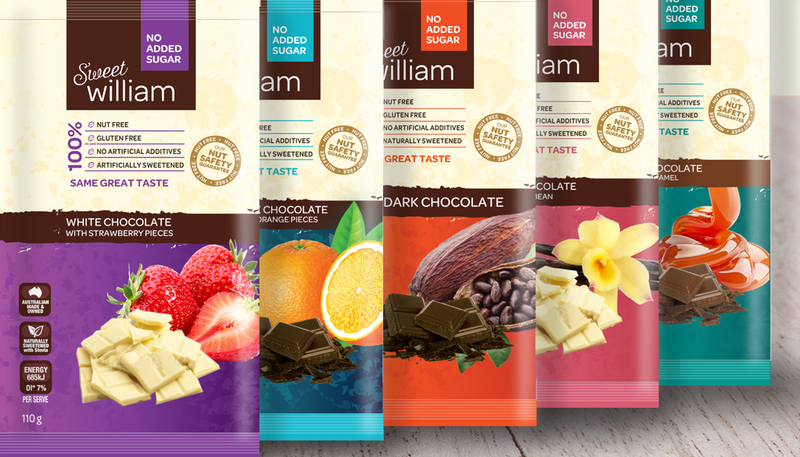 Hopping Mad Designs created a stunning new look for the packaging range with a modern new logo. Strong visual consistency was established between each product and vibrant colours and images are unique for each flavour variation. 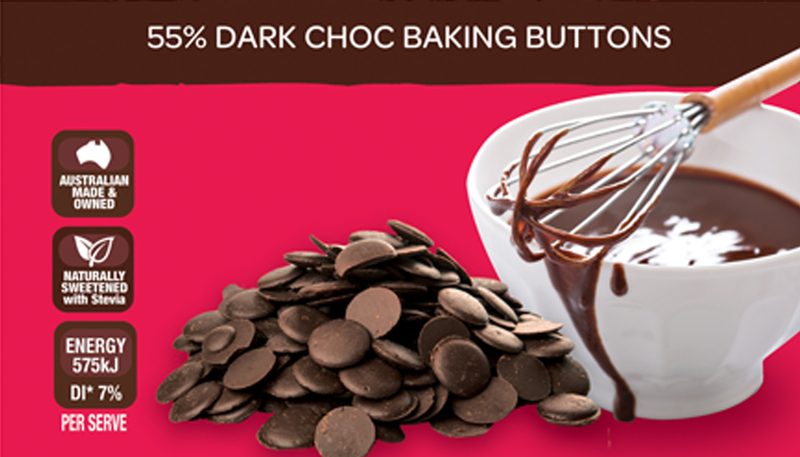 The new look was rolled out across foil packs, pouches and jars for the main range and the baking.